When Jinwei Cao sent out a call for volunteers to create an international student association in 2016, Mengyu Li was the first to respond. “There was an urgent need to form a international student community, especially for Lerner’s graduate students,” said Li, an ISTM graduate student who worked with Cao, associate professor of MIS at the Alfred Lerner College of Business and Economics, to create the Lerner International Student Association (LISA), a student-led organization at the Lerner College. 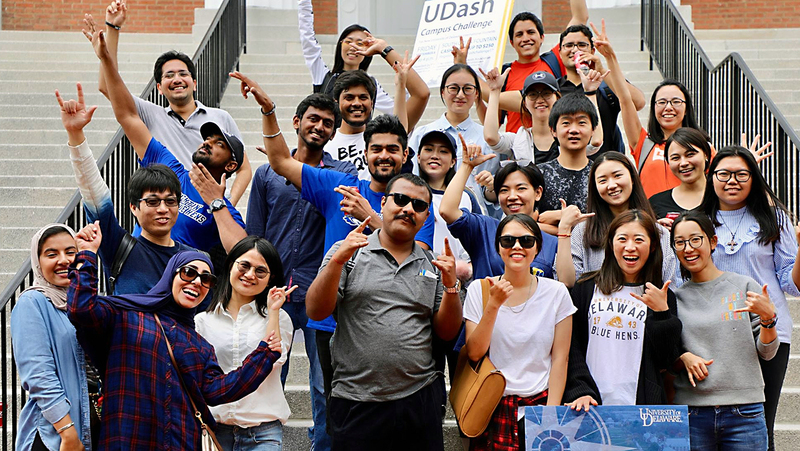 In the two short years since its inception, LISA has created a home at UD for over 200 graduate and undergraduate business students from around the world, including China, India, France, Korea, Saudi Arabia and Japan. Providing international students with enhanced academic support from professors and advisors, including assistance with course selection, class participation and effective communication in group projects. Fostering comfort in a new culture: LISA’s buddy program pairs international students with US-born faculty, staff, and students to support foreign students as they integrate into American culture, build friendships and broaden cultural horizons. Creating opportunities to practice communication skills through events like the annual Ice Cream Social, attended by Lerner College students and faculty like Dean Bruce Weber. Preparing students as they start their careers by collaborating with Lerner Career Services to host alumni panels, lunch-and-learn sessions and workshops on early-career topics like dressing for the workplace. Encouraging interaction with UD’s surrounding community through volunteer opportunities, including a recent partnership with Junior Achievement to teach fundamental business concepts to Delaware middle-school students. LISA “is here to help students create a better future,” said current president Puming Yang, a native of Kunming, China, who added that the group encourages interested students to get involved in its many opportunities for participation. Graduate and undergraduate students can join LISA as general members and attend events held over the course of the semester, or join the executive leadership board and serve on its planning committee. Visit LISA’s website for more information.